Tokyo Rebel: Victorian maiden's "Ceremony Marine" items now available for reservation! 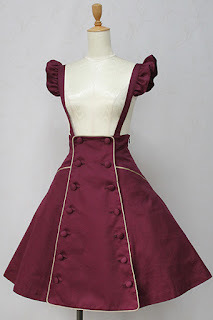 Victorian maiden's "Ceremony Marine" items now available for reservation! Victorian maiden's "Coordinate Item" series items are now available for reservation! At this time, all reservations must be made through email at order@tokyorebel.com, by calling us at 212-460-9100 or by visiting us in person at 158 Allen St, New York NY 10002. Reservation period pricing ends February 28th, 8PM ET.